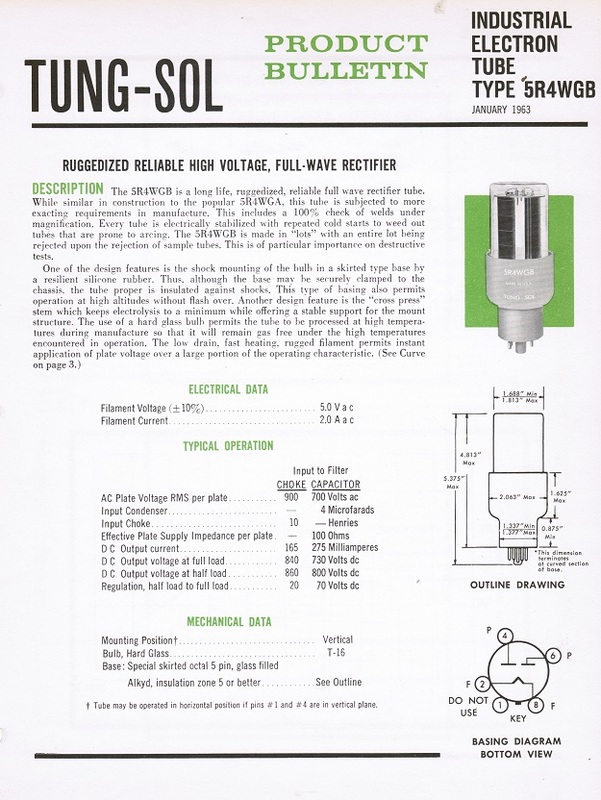 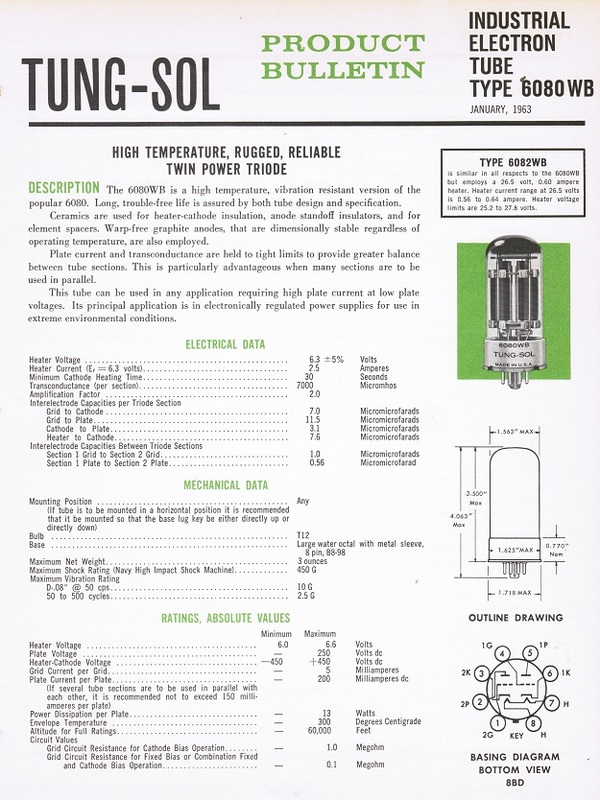 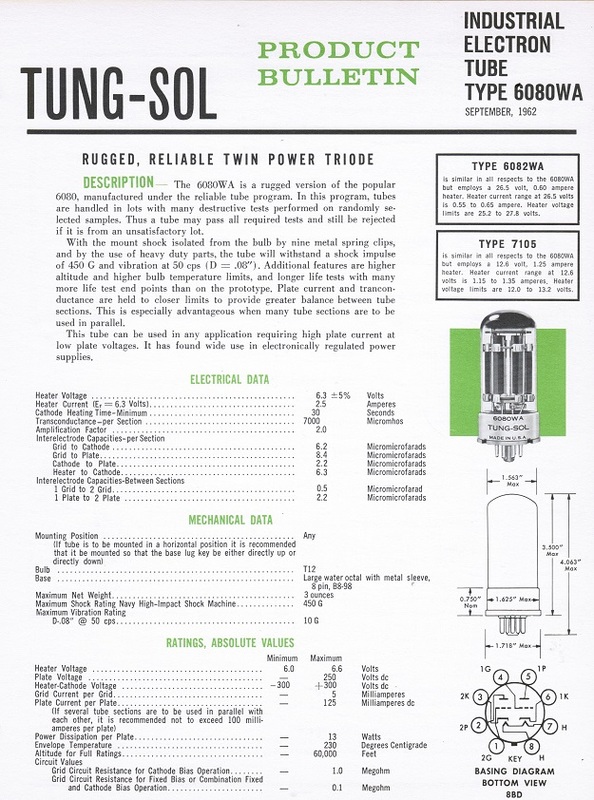 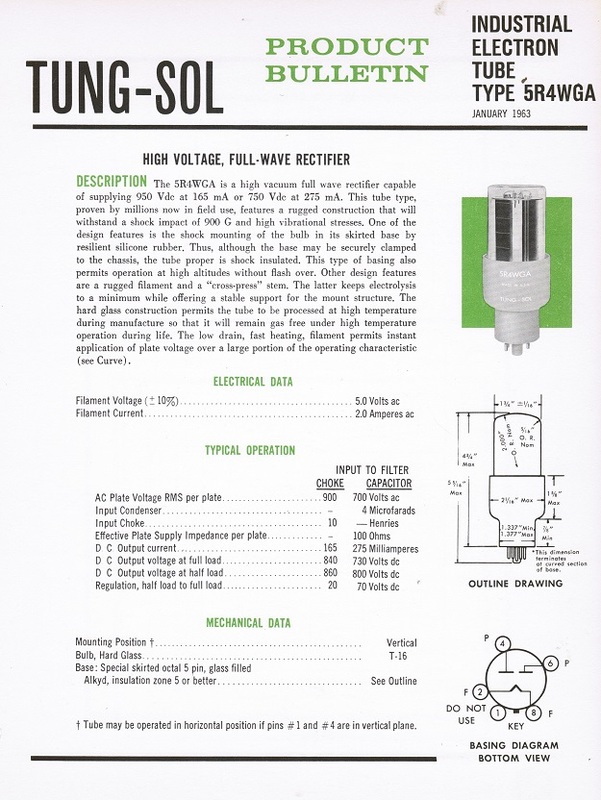 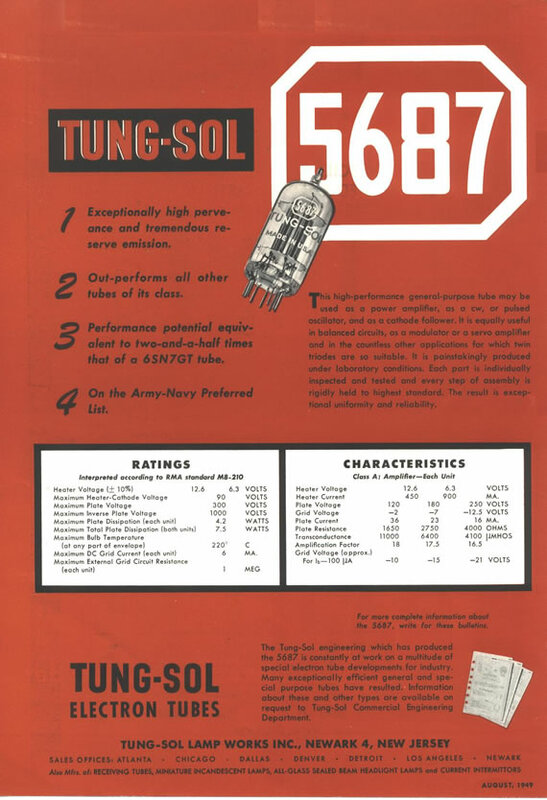 Tung-Sol was an old hand at electron tubes and such. 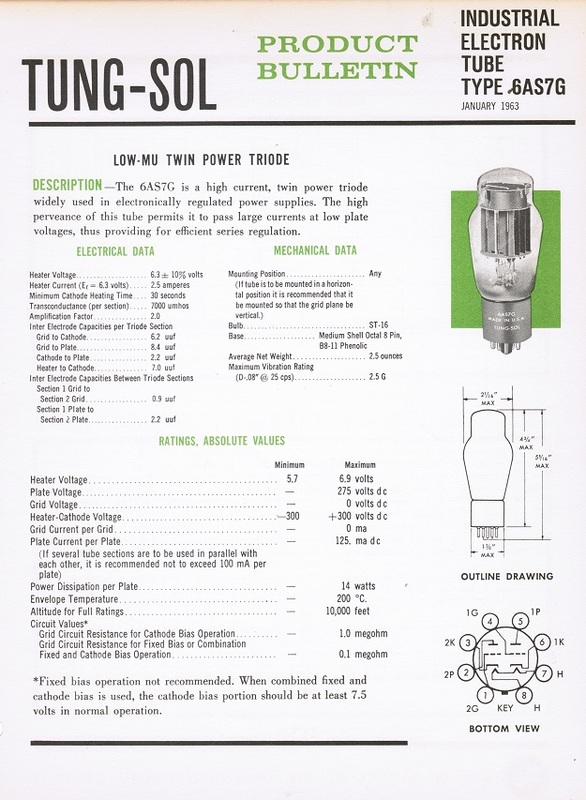 Starting in 1907 they developed the first successful electric headlamp for cars, they followed that in 1913 with the two filament high and low beam headlight in a single bulb. 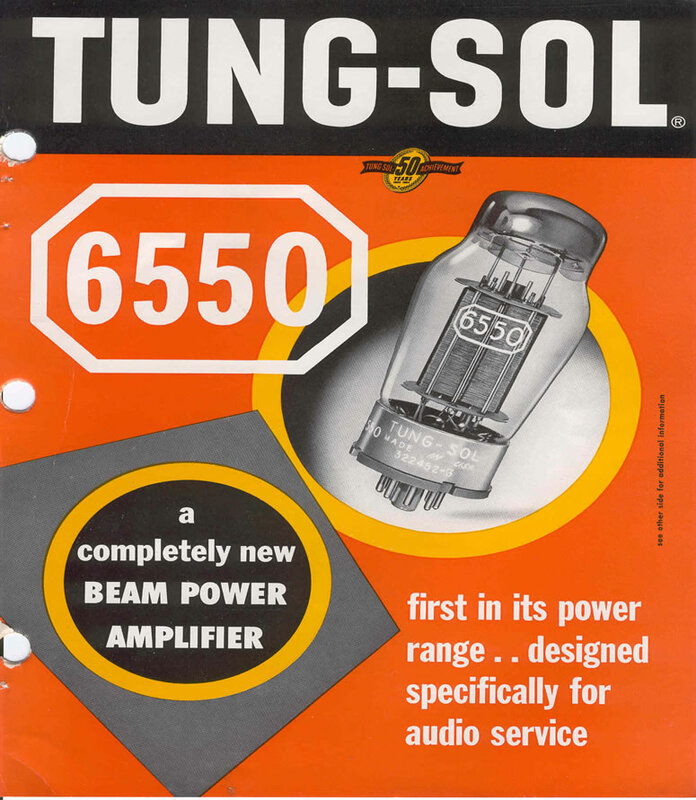 They also developed the flashing turn signal, and made that little thing that goes click, click under the dashboard for almost every American car until the 1970’s, yes, we all grew up listening to Tung-Sol. 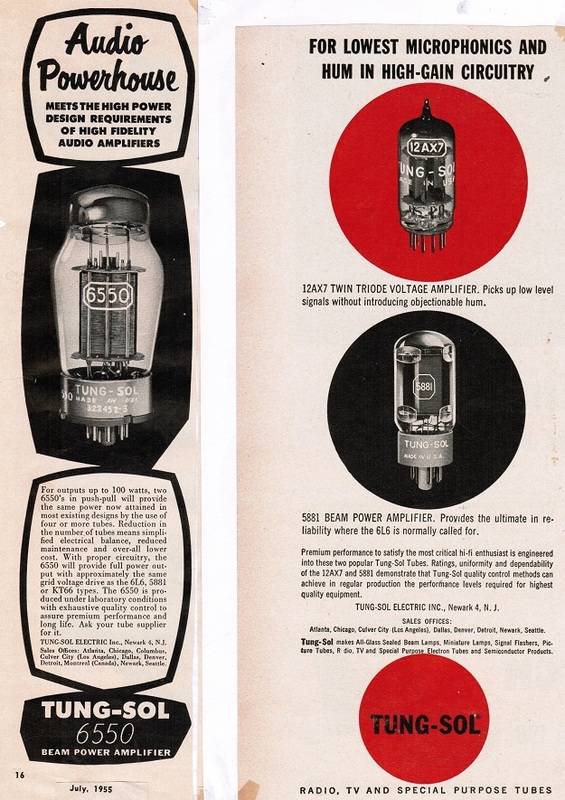 In the 1920’s they entered the electronics field and applied their basic company policy “make the best that can be made.” They were leaders along with R.C.A. 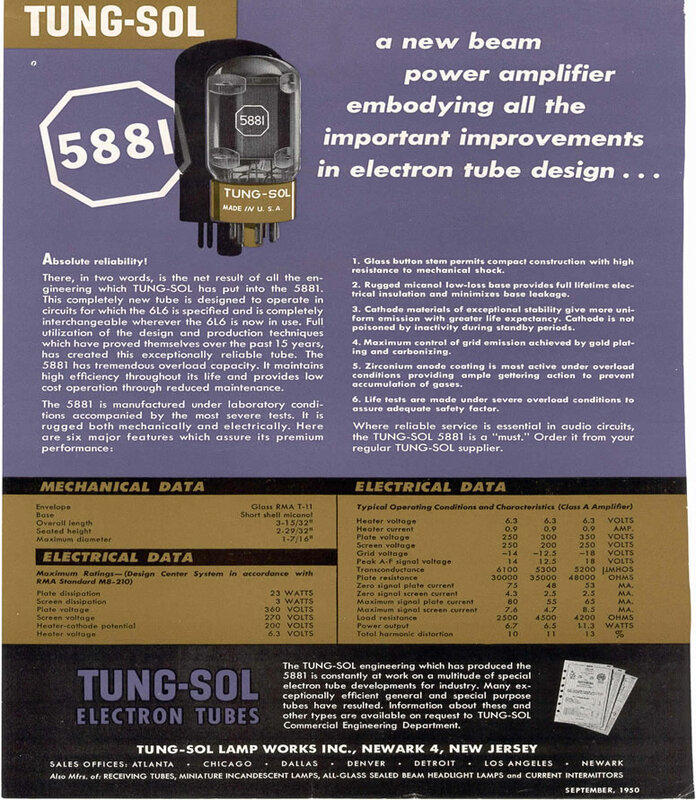 in the development of sophisticated, statistical quality control systems and one of the greatest qualities of Tung-Sol tubes to this day is consistancy! 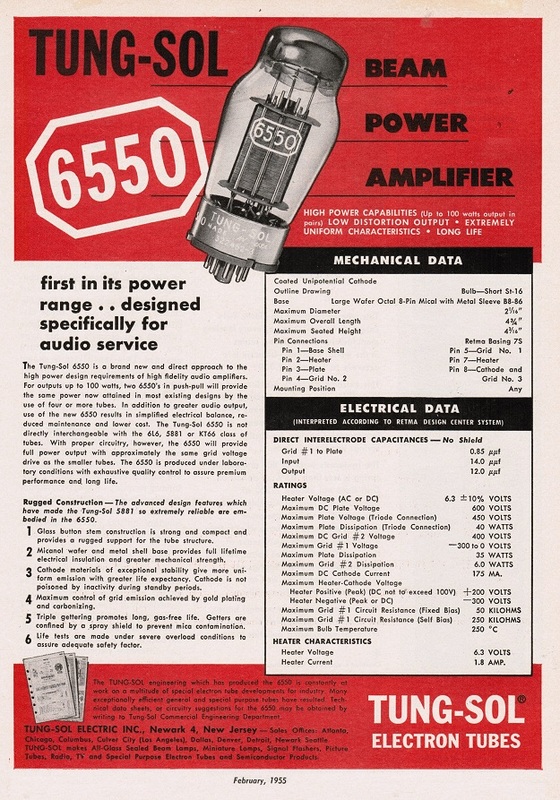 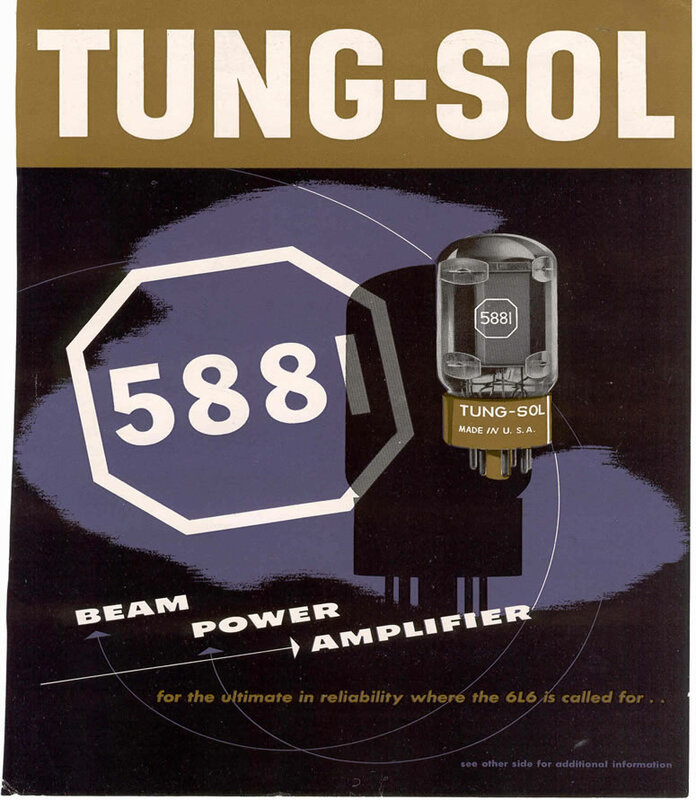 Tung-Sol’s greatest contribution to the world of audio was the 6550, conceived and developed for Hi-Fi and introduced in 1955 this tube is still powering many of the world’s greatest sound systems 45 years later! 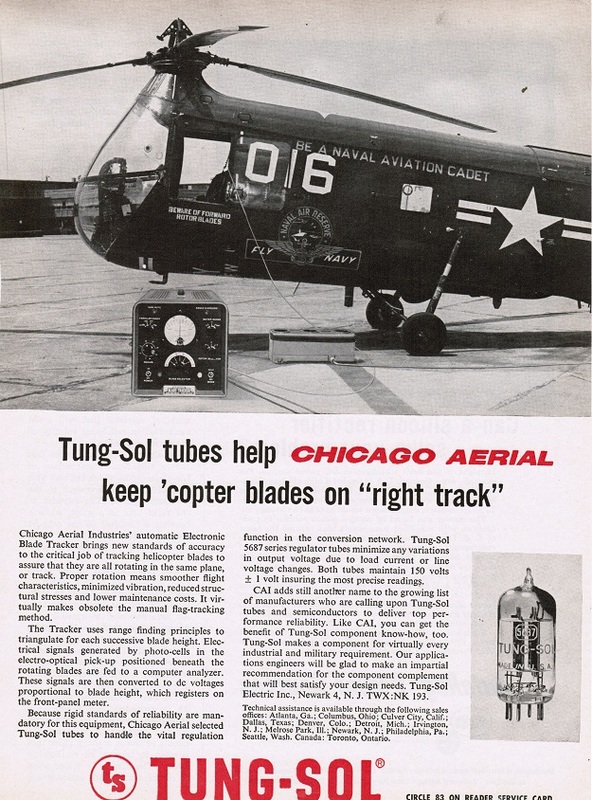 Tung-Sol was a privately held company and was run like a laboratory this gave T-S tubes some of the best metallurgy and chemistry that has ever been pulled off in actual production. 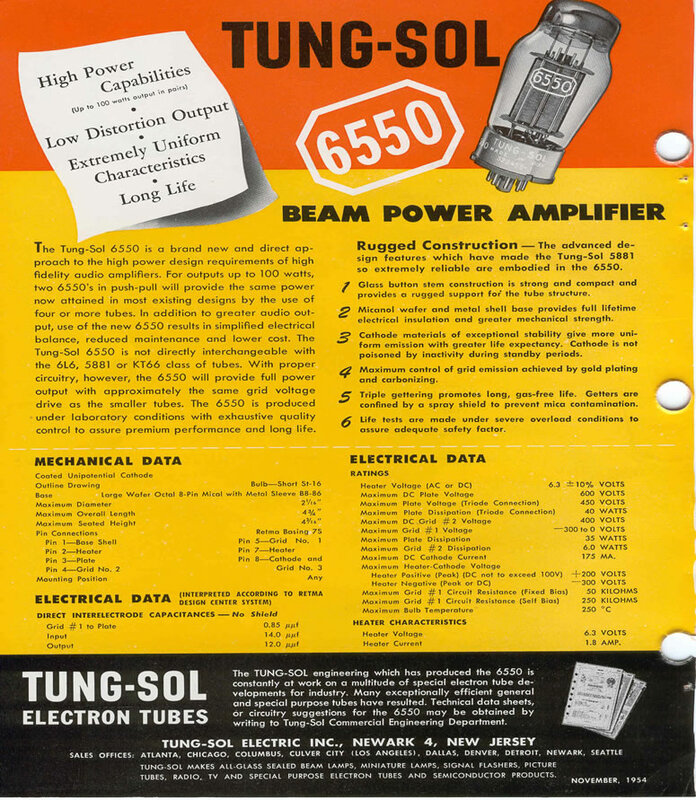 Tough as nails and as sweet as tupelo honey, all Tung-Sol tubes are as accurate, neutral and dynamic as you could ask for, very much like a Telefunken which is what they remind me of.